Many organizations are looking at their IT infrastructure and thinking about how they can migrate to the cloud. This is especially true with data center and server environments. Over the last decade there have been tremendous advancements in the area of Infrastructure-as-a-Service. As a result of these advancements, many IT organizations are seeking to migrate Active Directory from Windows Server 2012. Let’s step back though, and look at why organizations are interested in eliminating Microsoft Active Directory from their environments. There are a couple of major trends at work here, with the first trend being the movement to the cloud. IT infrastructure has been moving online since the Internet came of age in the late 1990s. In the 2000s, web applications and cloud providers started to emerge in a significant way. IT organizations didn’t need to build their on-prem or data center networks out as they had before. That meant that IT admins didn’t need to purchase hardware, software, maintain infrastructure, or worry about security. Organizations could simply rent it from various providers. The second major trend that is impacting the concept of replacing Active Directory is the proliferation of heterogeneous environments. Fifteen years ago the IT environment was massively different. Virtually the entire enterprise network was Windows-based and on-prem. Today, Windows is only one in five devices (Forbes.com). Mac and Linux machines have made significant inroads into the market. Applications are in the cloud and not necessarily built on top of Windows. Servers are Linux based more often than Windows. The result of these changes is that Active Directory no longer manages a big portion of the IT environment. The movement to the cloud and the heterogeneous network environment raise the question: “Why should IT admins continue leveraging Active Directory?” The answer is that you don’t need to continue to leverage AD, and after realizing this the question then becomes, “How do I migrate Active Directory from my Windows Server 2012 instance?” Many times, this question comes from companies that are eliminating their on-prem server infrastructure. So, how do you replace Active Directory? The answer used to be hard to find, but with recent innovations it has become much easier. The answer is Directory-as-a-Service® (DaaS). This cloud identity management solution eliminates the need for Active Directory on-prem, and still provides IT admins with full control over user management. 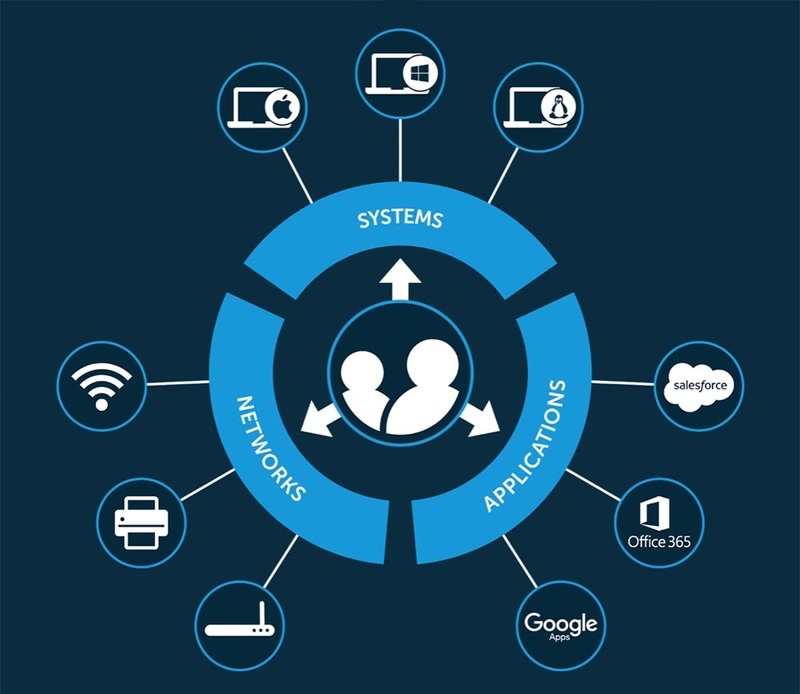 Directory-as-a-Service securely manages and connects user identities to the IT resources they need including systems (Windows, Linux, Mac), cloud and on-prem servers (e.g. AWS, Google Cloud, etc. ), web and on-prem applications leveraging SAML or LDAP, and wired or WiFi networks via RADIUS. In the modern IT infrastructure, there is no need to maintain an on-prem Windows Server running Active Directory. Think of Directory-as-a-Service as Active Directory and LDAP reimagined for the cloud era. 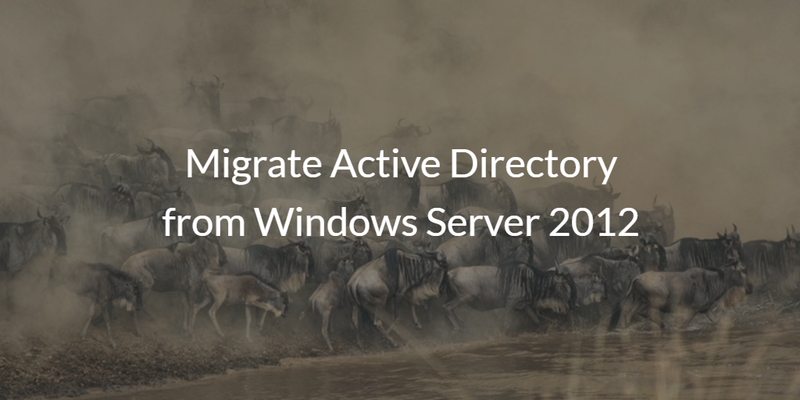 If you would like more information on how to migrate Active Directory on Windows Server 2012 to a cloud directory, contact us here. 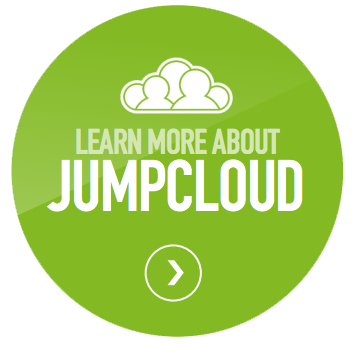 Additionally, feel free to sign-up for a free JumpCloud IDaaS account and check it out for yourself. Your first 10 users are free forever.